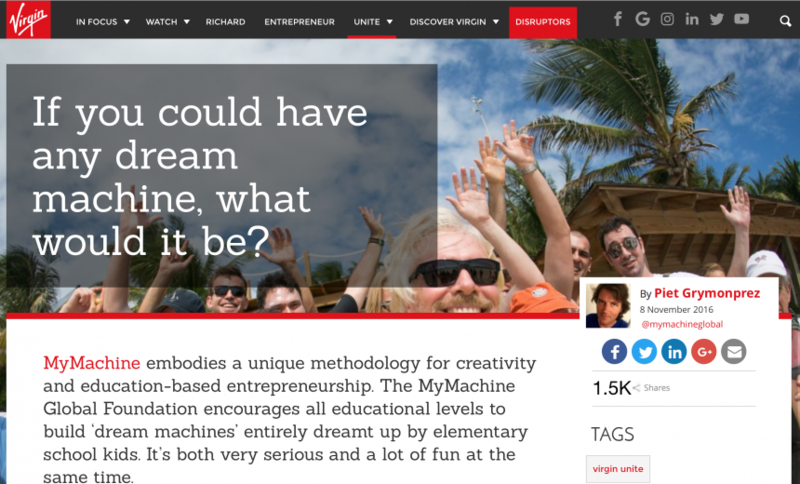 We’re a little bit proud to announce that today, MyMachine is featured across Virgin.com. We’re very happy with this, as Virgin is supporting MyMachine big time by doing this. This communication will reach out to many people across the globe, which hopefully will bring new links to what we’re doing.